The Ware:House project comprised the adaptive reuse of an existing two story industrial warehouse building as a single family residence. The renovations included the transformation of an unimproved gravel parking area into a private walled garden with swimming pool. The existing building was built in 1963 and was constructed of concrete block walls, open web steel bar joists and a metal roof. The exterior of the building was clad with a new Portland cement stucco coating and a matching garden wall was designed to create the private courtyard area. The front façade was modified to allow for new windows that were more historically proportioned and glass block openings that allowed for added light on the first floor while maintaining security at street level. 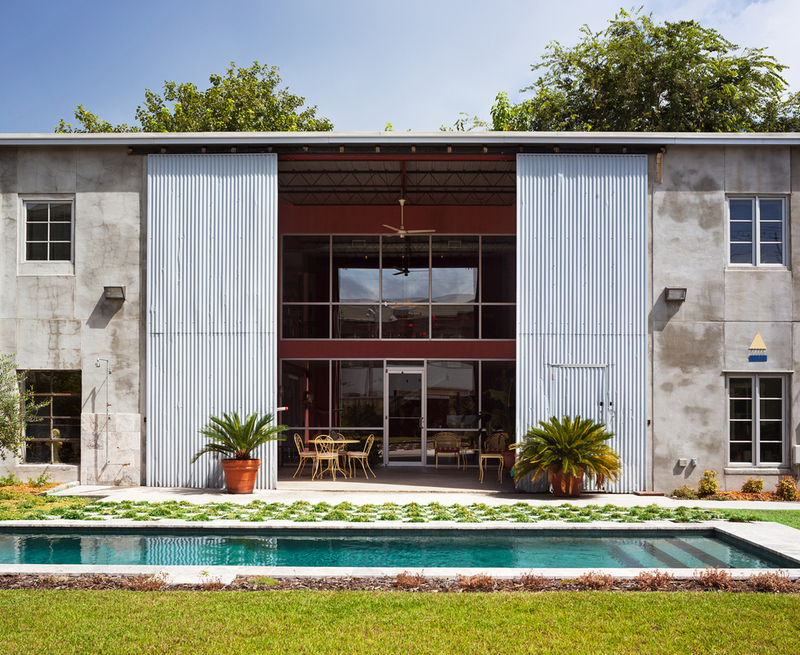 The corrugated metal doors on the south façade were fully restored and an interior courtyard was created within the building footprint. A modern glass storefront system was added at the courtyard walls and acts as a light well for the entire building. 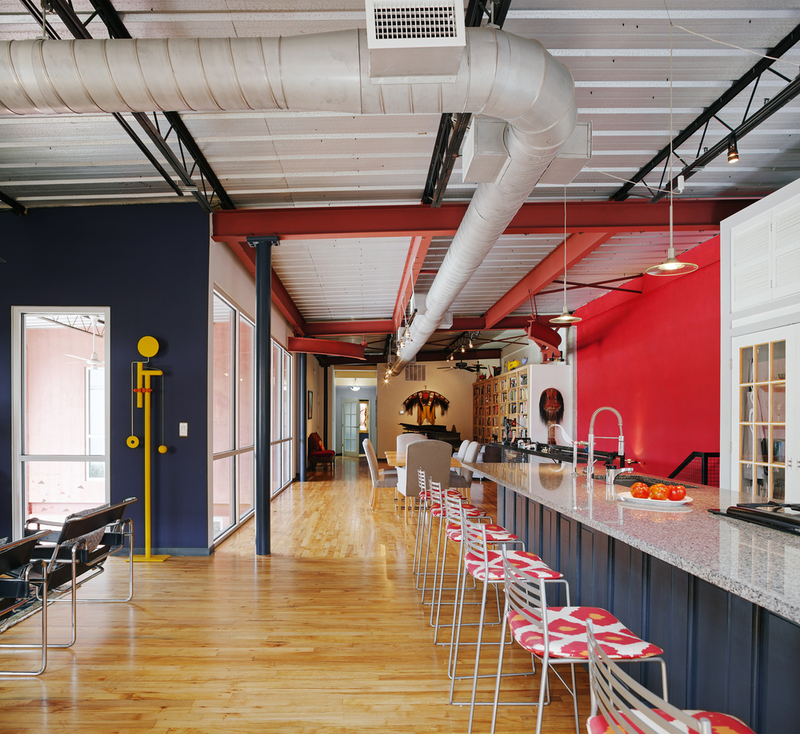 On the interior of the building all existing steel warehouse rigging was retained and a second floor level was reconstructed to allow for added living space. The first floor space has maintained the industrial character of the building and acts as an artist studio for the homeowners.